This is the personal webpage of John Veitch. I’m a lecturer at the University of Glasgow, where I work in the Institute for Gravitational Research. 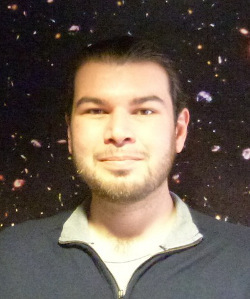 My research involves analysing data from Advanced LIGO to detect elusive gravitational waves from the collisions of black holes and neutron stars. I’ve spent the last few years working on methods to find the weak signals and extract their parameters. In September 2015 we detected the merger of two black holes (GW150914) and we finally got to put all our preparations to good use! I’m a fan of MCMC and Nested Sampling algorithms for Bayesian inference, in particular in the newly emerging field of Astrostatistics, where astronomy meets modern machine learning techniques. John Veitch, Proudly powered by WordPress.